Total Commander is a file manager effective for Windows users . 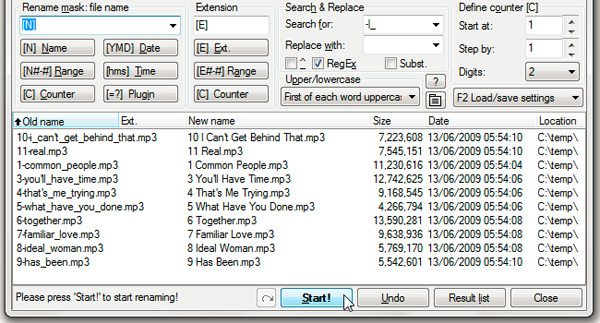 Besides, it also works like Windows Explorer, allowing you to copy, move or delete files quickly. However, Total Commander can perform many more operations Explorer, such as compressing and decompressing files, access FTP servers, compare files based on content, and so on. Available for both 32 bit and 64 bit. Direct access to the Network Neighbourhood . Supports drag and drop with Explorer / the Desktop . Command line support to launch programs with parameters, simply by typing the program name or press Ctrl + Enter or Ctrl + Shift + Enter . Configuration menu buttons and Start (commands from user-defined) to put Windows or DOS programs often used in a drop-down menu. Folders and / or file under the cursor can be delivered to the application. Integrated Viewer to help you track files with any given size in hex ? ?format, binary or text, using the string ASCII or ANSI . In addition, the font size can now be changed. View files in the archive file. Now, it supports formats Unicode UTF-8 . Viewer Bitmap in Lister , additional formats through additional Irfanview . Support for Unicode and HTML viewer in Lister . Thumbnail preview displays the image in the file list. Rename multiple files with different rules or edit the name in a text editor. Supports multiple languages, including: English, German, France, Italy, Denmark, Sweden, Norway, Netherlands, Spain, Czech Republic, Russia, Poland, Hungary, Greek, Jewish, Catalan, Turkish and Ukrainian. Support, copy, move, rename and delete the entire folder. Comparing files by content with the text editor is integrated. Sync folders with ZIP files. Display or select the file search pattern, size, date or specific content. Encrypt and decrypt files in UUE format, XXE and MIME. The search function helps you find modified files across multiple drives, even in the archived files. Overwrite dialog allows you to display preview images and custom fields. Support for most FTP servers, and some mainframes. FTP and WWW proxy support for FTP connections. Send files directly from one remote server to another. Add files to download list via the context menu and then download. To ensure safety for FTP over SSL / TLS, enter the following URL: ftps: //ftp.servername.com. Need OpenSSL dlls from www.openssl.org. The archives are handled like subdirectories. You can easily copy files from and to archive files. It supports the following archive files: pkzip, arj, lha, rar, ace and UC2. Copy files directly between each other archives. Compress large archives in the background. 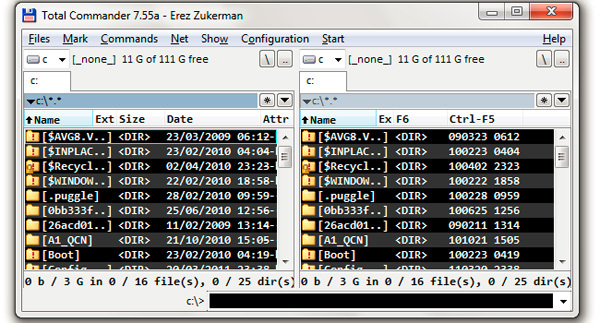 Extract the ZIP file format, ARJ, LZH, TAR, GZ, CAB, RAR and ACE. - To replace all the hyphens and underscores with spaces, filled - | _ into the Search field. - In the Replace box, use the Space key in it. We can not see, but the operation, the program has received full command. - And finally, choose First of each word uppercase in Section Upper / lowercase After changing the desired options, click Start to begin the process of renaming. There are many other features of Total Commander and we will continue to learn in the next article.